Revisionist Zionism (Union of Zionists-Revisionists; abbr. Hebrew name, Ha-Ẓohar; later New Zionist Organization) was the movement of maximalist political Zionists founded and led by Vladimir (Ze'ev) Jabotinsky. In the later 1920s and in the 1930s, the Revisionists became the principal Zionist opposition party to Chaim Weizmann's leadership and to the methods and policy of the World Zionist Organization and the elected Jewish leadership in Ereẓ Israel. The initial nucleus of the Revisionist movement consisted of a group of Russian Zionists who had supported Jabotinsky during World War I in his campaign for the creation of a Jewish Legion. Their organ became the Russian-language Zionist weekly Razsvet published in Berlin (1922–24), later in Paris (1924–34). This group was joined by other Zionist circles and personalities, such as Richard Lichtheim, Robert Stricker, Jacob de Haas, the Hebrew poet Jacob Cohen, and others, who opposed Weizmann and his policy. The Revisionists based their ideology on Theodor Herzl's concept of Zionism as essentially a political movement, defined by Jabotinsky as follows: Ninety per cent of Zionism may consist of tangible settlement work, and only ten per cent of politics; but those ten percent are the precondition of success. The basic assumption was that as long as the mandatory regime in Palestine was essentially anti-Zionist, no piecemeal economic achievements could lead to the realization of Zionism, i.e., the establishment of a Jewish state with a Jewish majority in the entire territory of Palestine, on both sides of the Jordan. At its inception, the Revisionist program centered on the following demands: to reestablish the Jewish Legion as an integral part of the British garrison in Palestine, to develop the Jewish Colonial Trust as the main instrument of economic activity, and to conduct a political offensive which would induce the British government to adapt its policy in Palestine to the original intention and spirit of the Balfour Declaration. The Revisionist program soon became more elaborate, asking, in addition to the demand for Jewish military units for the introduction of a whole new system of policy in Palestine, defined as a "settlement regime" – a system of legislative and administrative measures (such as land reform, state protection of local industries, a favorable fiscal system, etc.) explicitly designed to foster Jewish mass immigration and settlement. The Revisionists criticized the system of small-scale immigration and settlement based on "schedules" of immigration certificates and on the emphasis of agriculture. Economic and social methods, designed to bring to Palestine "the largest number of Jews within the shortest period of time" should include support of private initiative and private capital investment, mainly in industry, intensive agricultural cultivation of small plots (the Soskin method), as well as compulsory arbitration of labor conflicts and the outlawing of strikes and lockouts "during the period of state-building." While strongly critical of British policy in Palestine, the Revisionists denied being "anti-British." Their conception was that constructive Anglo-Jewish cooperation could be brought about only through determined political pressure on the British government exerted on an international scale. 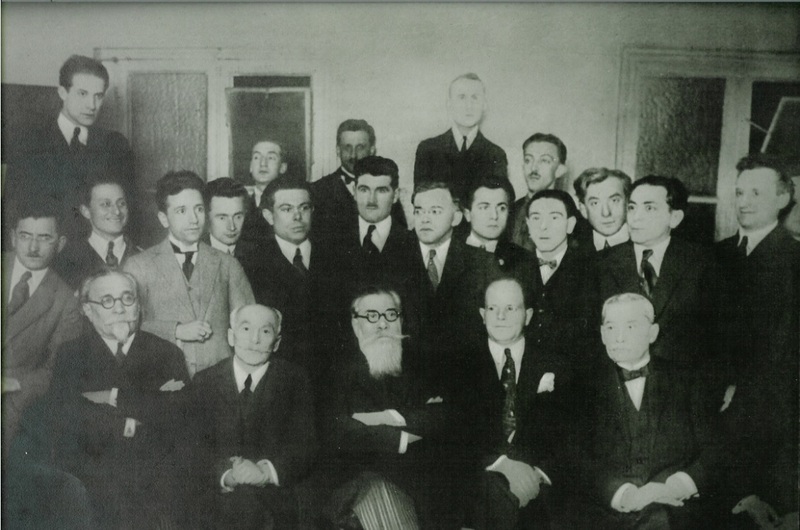 The founding conference of the Union of Zionists-Revisionists took place in Paris in 1925. The first president of the Union was Vladimir (Ze'ev) Tiomkin. At its inception, the movement was an integral part of the World Zionist Organization. It attracted a large following in Eastern and Central Europe, where masses of Jews were waiting to emigrate. From four Revisionist delegates to the 14th Zionist Congress (1925), its representation rose to 52 delegates at the 17th Congress (1931). Subsidiary organizations sprang up under Jabotinsky's leadership: Betar, a mass movement of youth; Berit ha-Ḥayyal ("union of army veterans"), existing mainly in Poland; Orthodox adherents organized in Aḥdut Israel; the women's Berit Nashim Le'ummiyyot; high school students in Masada, and the Nordia sports organization. In Palestine, the Revisionists achieved the position of the second-largest party in the Asefat ha-Nivḥarim by gaining 17% of the votes in 1931. The Zionist majority, in particular the labor parties, rejected the ideology and tactics of the Revisionists, often attacking them as "fascists." Growing conflicts in the Palestine labor market led to the withdrawal of Revisionists and members of Betar from the Histadrut and the establishment of an independent National Labor Organization in 1934. Bitterness reached a climax in 1933 when two young Revisionists in Palestine were accused of assassinating the labor leader Chaim Arlosoroff. Palestinian courts acquitted both, but the antagonism remained and poisoned the political atmosphere for many years. From the late 1920s, especially after the enlargement of the Jewish Agency through the inclusion of 50% non-Zionists (1929), Jabotinsky pressed for independent political action of the Revisionist movement in the international field, though the Zionist Executive considered it a breach of discipline. When Jabotinsky urged the secession of the Revisionist Union from the World Zionist Organization, allowing individual Revisionists to maintain their membership in it, he was opposed by members of the Revisionist executive, Meir Grossman, Lichtheim, Stricker, and others. When the internal controversy reached an impasse at the session of the Revisionist Party Council at Katowice (1933), Jabotinsky "suspended" the Revisionist executive and assumed "personal responsibility" until the forthcoming world conference. A plebiscite among the membership endorsed Jabotinsky's move by a large majority, but his opponents seceded and founded the small Jewish State Party, which was represented at the 18th Zionist Congress (1933) by seven delegates, as against 46 Revisionist delegates. The first large-scale political action of the Revisionist Union was a world petition (1934) addressed by Jewish men and women to Britain's king and Parliament and to the governments and parliaments of the states of which they were citizens. More than 600,000 Jews in 24 countries signed the petition. After the Arlosoroff murder trial, an attempt at a reconciliation between the Revisionists and the Zionist leadership was made in 1934. At the initiative of Pinḥas Rutenberg, Jabotinsky and David Ben-Gurion met in London and, after lengthy negotiations, signed three agreements. The first enjoined all Zionist parties to refrain from certain forms of party warfare, notably "libel, slander, insult to individuals and groups." The second was a labor agreement providing for a modus vivendi between the Histadrut and the Revisionist workers, including the controversial issues of strikes. The third provided for suspension of the Revisionist boycott against the Zionist funds and a guarantee of immigration certificates for members of Betar. The agreements were welcomed by Zionist public opinion, but the labor agreement was submitted to a referendum of Histadrut members and rejected by a majority. The atmosphere of goodwill petered out. In 1935, the Revisionists waged a heated debate in the Zionist Organization [ZO] concerning the immediate and public stipulation of the final aim of Zionism. The Zionist General Council rejected their approach and voted to preclude independent political activities of Zionist parties. The Revisionists subsequently voted to secede from the World Zionist Organization and to establish a new Zionist body. Elected by 713,000 voters, the constituent assembly of the New Zionist Organization (NZO) met in Vienna with de Haas as chairman (September 1935). Jabotinsky was elected president (nasi). The aim of the NZO was formulated as "the redemption of the Jewish people and its land, the revival of its state and language, and the implanting of the sacred treasures of Jewish tradition in Jewish life. These objectives were to be attained by the creation of a Jewish majority in Palestine on both sides of the Jordan, the upbuilding of a Jewish state on the basis of civil liberty and social justice in the spirit of Jewish tradition, the return to Zion of all who seek Zion, and the liquidation of the Jewish Dispersion. This aim transcends the interests of individuals, groups, or classes." When their approach was rejected, they seceded from the ZO (1935) and established the New Zionist Organization. They returned to the ZO in 1946, explaining that this became possible after the Biltmore Program had proclaimed the establishment of a Jewish commonwealth in Palestine as the goal of Zionism. In the later 1930s the NZO called for a policy aimed at speedy "evacuation" of the Jewish masses from the "danger zone" in Eastern and Central Europe, based on "alliances" with the governments of those countries. A ten-year plan for the transfer to and absorption in Palestine of 1,500,000 Jews was prepared in 1938. In 1938–39, the scheme gained the sympathy of Polish government circles, which seemed to be ready to intervene with the British government and raise the problem of Jewish mass emigration at the League of Nations. But Jewish public opinion overwhelmingly opposed the "evacuation plan" as unwarranted and irresponsible publicity, playing into the hands of "antisemitic governments." At the same time, the Revisionists were instrumental in transforming "illegal" immigration to Palestine from a trickle into a mass movement, which brought thousands of European Jews in "illegal" ships to the shores of Palestine until 1940. The NZO opposed and combated the partition of Palestine as proposed in 1937 by the Palestine Royal Commission. Jabotinsky testified in London before the commission, while B. Akzin gave evidence before the Palestine Partition Commission and advocated the "evacuation scheme" before the Intergovernmental Refugee Committee in Evian, France, in 1938. With the outbreak of World War II, NZO activities ceased in continental Europe and political work was confined to Jerusalem, London, and New York. In 1939. Jabotinsky called for the suspension of the struggle against the British for the duration of the war, the concentration of all efforts to defeat Nazi Germany, and the creation of a Jewish army to fight alongside the Allies, and of a Jewish World Council to represent the entire Jewish people at the future peace conference. Jabotinsky's death in New York (August 1940) deprived the movement of its founder and leader. His successors continued their work, mostly in the United States, by information campaigns intended to arouse the attention of governments and public opinion to the plight of the Jewish people in Europe. They published full-page advertisements in leading American newspapers calling for the abolition of the White Paper and later for the relinquishment of the British Mandate over Palestine. They raised money for the Irgun Ẓeva'i Le'ummi (IẒL) and to help the survivors of the death camps. (2) the return of the Revisionists to the World Zionist Organization and the merging of the Revisionist labor organization with the Histadrut and of the Irgun Ẓeva'i Le'ummi (IẒL) with the Haganah. Eri Jabotinsky also signed the draft. Talks on the proposal came to naught, however, mainly because of a forceful veto by David Ben-Gurion, who was in the United States at the time. An opposition group, Hitna'arut, led by Eliav, was formed in the Revisionist movement, demanding its unconditional return to the official Zionist and yishuv institutions. In 1944, most of its members seceded and took the lead in founding an independent party Tenu'at ha-Am, which was active until 1948. After the war, when the creation of a Jewish state had officially become the aim of Zionism and "illegal" immigration was conducted on a large scale by the Haganah, while some cooperation was established between the Haganah and IẒL, the Revisionist leaders decided to rejoin the Zionist Organization, and 42 Revisionist delegates were elected to the 22nd Zionist Congress (1946). In Palestine, two Revisionist representatives signed the Declaration of Independence of the State of Israel on May 14, 1948, but their party was not invited to participate in the Provisional Government. When the IẒL disbanded, its veterans founded the new Ḥerut Party in Israel (October 1948); it won 14 seats in the First Knesset (1949), while the Revisionist list was unable to seat a single deputy. In the Diaspora, Revisionist groups remained mostly loyal to the old framework, but in 1950 a world union was founded called Berit Ḥerut ha-Ẓohar, with Ḥerut as its organization in Israel. A Revisionist representative was elected to the Jewish Agency Executive in April 1963 by a majority vote, against strong opposition from the Zionist labor parties. But the rift between the Revisionist and the labor camps was largely healed in the later 1960s, when the Eshkol government decided to transfer Jabotinsky's remains to Mount Herzl in Jerusalem and particularly after Ḥerut leaders, as part of the Gaḥal bloc, joined the government of national unity in 1967. In the 1968 World Zionist Congress, Revisionists accounted for 69 delegates out of 644 (10.7%). In the 1920s, and particularly in the 1930s, the Revisionist movement maintained a number of newspapers and periodicals in several countries. Apart from Razsvet, a French-language weekly La Voie Nouvelle appeared in Paris. In Poland the Yiddish weekly Der Nayer Veg enjoyed popularity in the mid-1930s, when it was edited by the poet Uri Ẓevi Greenberg. In the late 1930s the great Yiddish daily in Warsaw, Der Moment, became closely linked with the Revisionist movement. Robert Stricker's Neue Welt in Vienna served the Revisionist movement as long as Stricker himself was one of its leaders. In London, The Jewish Standard was edited by Abraham Abrahams. In Johannesburg, South Africa, The Jewish Herald is the organ of the Revisionist movement. In Palestine, the daily Do'ar ha-Yom purchased by Jabotinsky in 1928 had a Revisionist-oriented editorial policy. It continued to be published for about two years. A maximalist Revisionist faction, led by Abba Aḥimeir, Y.H. Yeivin, and U.Ẓ. Greenberg published in the early 1930s its own paper Ḥazit ha-Am. The daily Ha-Yarden existed in Jerusalem for several years in the mid-1930s but for lack of funds became a weekly and was transferred to Tel Aviv in 1935. In 1938, Ha-Mashkif began to appear again and continued to be published through the period of statehood. The monthly Beitar, edited by Joseph Klausner and B.Z. Netanyahu was published in Jerusalem in the mid-1930s and became the ideological and literary organ of the Revisionist-oriented public in Palestine. In the State of Israel, the daily Ḥerut served the movement until its merger with Ha-Boker in 1960 into the daily Ha-Yom. The latter closed in 1970. The purpose of this article is not to propose chapter headings for a history of the "right" from its inception with the founding of the Revisionist Zionists and Betar in the early 1920s (see "Revisionists , Zionist"), by way of the struggle of Irgun Ẓeva'i Le'ummi in the years 1937–48, and founding of Ḥerut and, subsequently, of Gaḥal (1965) and the Likkud (1973) until Likkud's victory in the elections of May 1977. The intention is to throw some light on a few of the basic problems in the development of the Zionist and Israeli "right," and to concentrate in particular on the above-mentioned question of continuity and change, of tradition and alteration, on both the ideological and socio-organizational levels. Prior to 1939, Revisionism's main strength as a social and cultural movement in Eastern Europe was principally in Poland. There Revisionism quickly developed from a small political faction and a number of youth and student organizations into one of the largest and most crystallized popular movements within Zionism. This base was destroyed immediately on the outbreak of World War II. Revisionism's strength in the Land of Israel was relatively weak; it grew much more slowly and its organization was feeble. But even before the War, and with greater resolution afterwards, the center of gravity of Revisionist activity moved with the founding of the Irgun Ẓeva'i Le'ummi. The IẓL (and subsequently Leḥi) drew much of their strength from the Revisionist public life in Poland, mainly from Betar, but after 1939 that source was blocked. Henceforth, the strength of Revisionism and of IẓL were drawn from within the Land of Israel only. After 1944, support for IẓL in Israel expanded far in excess of the support that the Revisionists had had prior to World War II. Members joined IẓL who had belonged neither to the Revisionist Zionists nor to Betar. Ḥerut's electorate in the First Knesset in January 1949 was composed of veteran supporters of Revisionism, members of IẓL and supporters of its struggle between 1944 and 1948. From this point of view Ḥerut was a new demographic and social entity, even if its political elite comprised ex-members of IẓL and Betar.5 Ḥerut obtained 49,782 votes in 1949, 45,652 in 1951, 107,190 in 1956, 130,515 in 1959 and 138,590 in 1961. It was only the establishment of Gaḥal, a union of Ḥerut and the Liberals, descendants of the General Zionists, that doubled the number of voters for the new political framework of the "right" to 256,975 in 1965, 296,294 in 1969, 423,309 in 1973, and finally 583,968 in 1977. The membership of the Irgun Ẓeva'i Le'ummi comprised 45% born in Eastern Europe, 17% in Ereẓ Israel and 10% in the countries of Asia and Africa. Following the mass immigration to Israel of the 1950s, Ḥerut began to draw more and more supporters from voters from Asian and African countries. It is true that Revisionism had previously gained support from these quarters, but in the 1950s it became the main reservoir for the electoral growth of Ḥerut, and this happened without ignoring the continuity of the East European elite, most of whom were members of the free professions, employed and self-employed and with a formal education. In addition to the waves of immigration and the feeling of deprivation and alienation on the part of the manual laborers form Asia and Africa and the sympathy that they held for the nationalist-activist position taken by Ḥerut and its political culture, its growth was assisted by the differentiation among the Israeli working classes between the private and public sectors. Both before and after 1948 Revisionism and Ḥerut were anchored in Jewish public life, which rejected the philosophy and Zionist-pioneering make-up of its various components – both in theory and in practice. The most significant change was that the Ḥerut voting public increasingly became manual and white collar employees of a social and economic ilk that differed entirely from that of Jewish society in Poland of the 1920s and 1930s. This affected both the style of the movement, which acquired a new popular image, and the contents of its philosophy. After a difficult internal struggle, Ḥerut drew the conclusions from this change and established a faction within the Histadrut – the Blue-White faction – which expressed radical formulations in wages and in the realm of social policy different from the formulation that had been acceptable to Revisionism in the Mandatory period.6 Fidelity to the ideological tradition and ideological change gave rise to a network of philosophies that, on the one hand, included emphasis on the priority status of the private sector and the demand for maximum reduction of state involvement in the economy while, on the other, there was support for widespread social legislation (minimum salary, national health insurance, etc.). What was described by Revisionism's opponents as "speaking with two voices" was an authentic expression of the internal complexity of Ḥerut and the change in its social structure. The adaptation to changes was not achieved without a severe organizational upheaval. Even prior to 1944 Revisionism was far from being a one-dimensional movement in terms of the opinions held by its members, and its organizational structure was split as well. There was a big difference between the Zionist Revisionists, the political arm, and Betar, the youth organization, and in 1933 the tension between the various groups caused the first split in Revisionism with the breaking away of a group of veterans headed by Meir Grossman and the founding of the Jewish State Party. Within the party there was a tendency to undermine the basic axioms of Revisionism that expressed a nationalist-activist philosophy and demanded a change in the methods of operation of the movement. The IẒL grew within Betar in an underground fashion and contrary to the stand of the Betar leaders. Not till 1944 did the IẒL become the main and most active organization within Revisionism; after Jabotinsky's death and the outbreak of World War II, they disbanded. There were still those within the Zionist Revisionists and Betar who felt that the IẓL was a temporary entity and that at the conclusion of the struggle against the British its role would be over, and the leadership would be returned to the veterans of the two groups. This attitude gave rise to severe tension among them, but in practice Revisionism as a political movement was eliminated after 1939 and the IẓL took over. The latter was not the underground arm of a bona fide political party (as was the Haganah), but a sovereign underground organization. During the Mandatory period, Revisionism did not attach political importance to the pioneering settlement activity and strategy adopted by the Labor Movement. It viewed collective settlement as an element that channeled to itself vast amounts of money from the capital, beyond the degree of its importance, which were thus wasted on superfluous collectivist experiments. Collective settlement was seen in the main as the great rival of the private economy and its victor over the monies of the limited resources of national capital. The advantage of the various forms of agricultural settlements was judged by the criterion of how many jobs they could ensure. On the political level, Revisionism believed that political facts should be determined by political negotiations, their commitments, and not by the creation of settlements. This inimical attitude softened after the Six-Day War, with Ḥerut and the Likkud supporting, morally and politically, Jewish settlements and settlement activity in Judea and Samaria, and applying political and moral pressure on the government to guarantee their existence and expansion. This support stemmed mainly from recognition of the fact that in view of the Alignment government's preparedness for territorial compromise in Judea and Samaria, settlement in the territories was the most outstanding and concrete expression of the Israeli demand for sovereignty over them. The Gaḥal and Likkud manifestos declared that Jews have the right to settle in Judea and Samaria and demanded that the government increase the settlement momentum. The testing point of the Likkud after it came to power was in keeping the promises and fulfilling the expectations in all aspects of settlement. The Likkud Peace Plan did indeed ensure urban and rural settlement throughout Judea and Samaria, but political circumstances have caused a freeze on settlement activity. This was interpreted by those favoring settlement within the Likkud and its supporters within Gush Emunim and The Land of Israel Movement (see 9: 41ff; 2: 774; 6: 575; 14: 1291; 10: 840), as an expression of the old tradition of Revisionism which had not valued pioneering settlement and had not accorded it any supreme political or Zionist value. Source: Ya'akov Shavit and Joseph B. Schechtman, Encyclopaedia Judaica. © 2008 The Gale Group. All Rights Reserved. Photo provided by Lola Franckel, Alexander S. Franckel and Philip L. Franckel, Esq.